Build this MCM Side Table. Free plan to build a MCM Headboard. Build your own Mid Century Modern style headboard using these free woodworking instructions. This one is a king size but you can modify the measurements to accommodate any size. Build this MCM pegboard cabinet using these free step-by-step instructions. Build this plywood mid-century daybed using these free plans. It also shows two daybeds together to fill a corner. Very nice. Complete instructions at the link. The lower shelf on this unit appears to be floating. 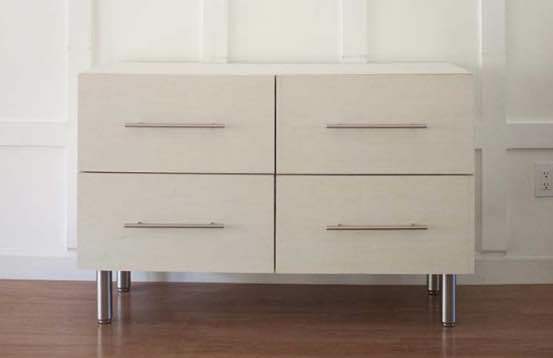 Build this MCM media console using the free woodworking plans at the link. MCM Bookshelf free building instructions. 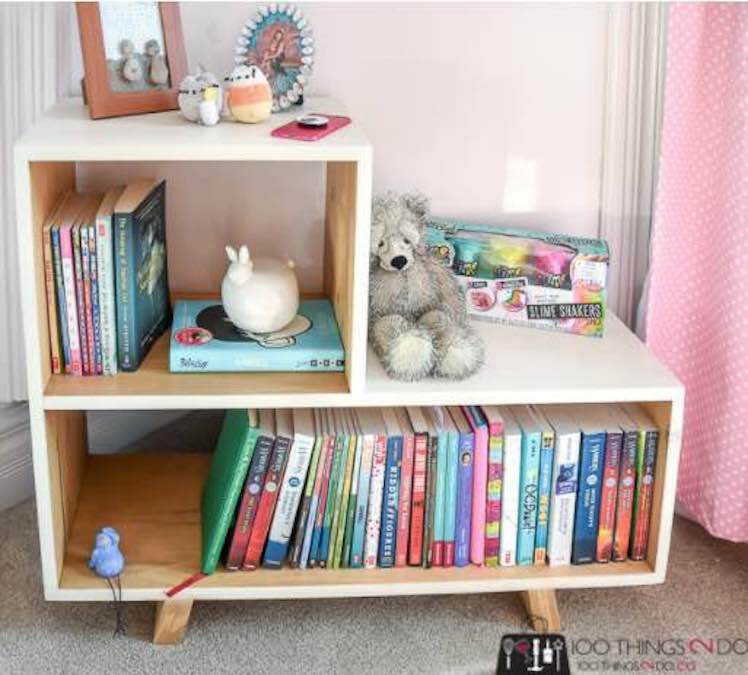 Build this mid-century style bookshelf using the free downloadable woodworking plans at the link.